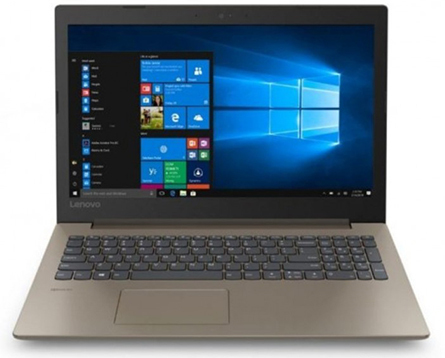 The Lenovo IdeaPad 330 Series Notebook with the latest Intel Celeron Dual Core N4000 1.1Ghz with Burst Technology up to 2.6Ghz processor and 4MB cache is the ideal laptop for the home or the office giving you plenty of processing power for casual surfing, streaming, and playing. 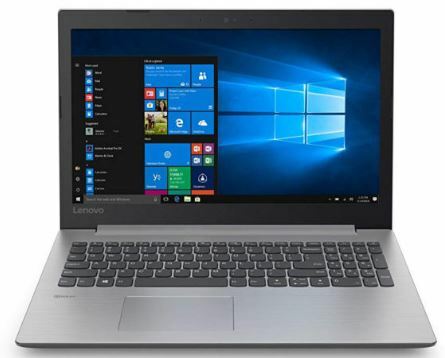 It comes standard with 4GB Ram and a massive 500GB Hard disk as well as 15.6-Inch WXGA HD (1366 x 768 resolution) LED Backlit Display.You can take advantage of its Intel UHD 600 Graphics that is designed to work with all major professional applications and the latest Windows 10 Home 64-bit Edition is Pre-Installed to provide a familiar and productive experience. Acer Aspire ES1-533 Series Notebook - Intel Celeron Dual Core N3350 1.10Ghz with Turbo Boost up to 2.4Ghz 2MB L3 Cache Processor, 4GB DDR3L-1600 SO-Dimm Memory, 500GB SATA Hard Drive, DVD Super Multi Writer optical drive, 15.6" WXGA HD (1366 x 768 resolution) Glossy Type LED Backlit Display, Intel HD Graphics 500, 802.11ac Wireless Lan, 10/100/1000 Gigabit Ethernet LAN, Bluetooth, Webcam, 3 Cell Battery, Standard US Keyboard, 1x USB 3.0 ports, 2x USB2.0 ports, HDMI output, SD Card Reader, 2.4 kg, Microsoft Windows 10 Home 64 bit Edition, Retail Box , 1 year Warranty. 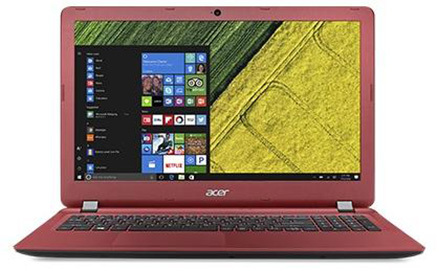 The Acer Aspire ES1 series Red notebooks inject a fresh blast of colour and style into everyday computing that is designed for everyday activities such as web browsing, communicating, and more. 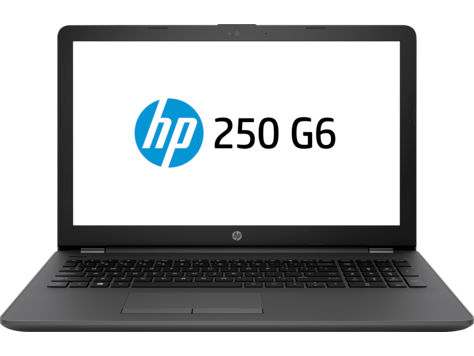 It is powered by a Intel Celeron N3350 Dual Core 1.10GHz processor and the system's 4GB of DDR3L RAM helps to ensure smooth multitasking and also allows the computer to quickly access frequently-used files and programs. 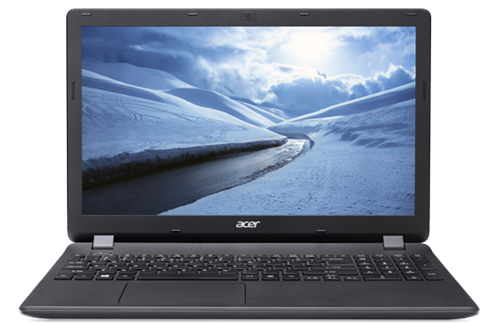 The 15.6" LED-backlit display features HD Acer CineCrystal LED LCD technology at 1366 x 768 native resolution, and a 16:9 aspect ratio. The integrated Intel HD graphics delivers a sharp, clear picture and users will also be able to output video to an external display using the HDMI port. For long-term storage of your files, the Acer Aspire ES1 series Red Notebooks has a 500gb hard drive that allows access to your data. If you want to add external storage, optical drives, memory card readers, and more, the system is equipped with 2 x USB 2.0 ports and 1 x USB 3.0 port. Gigabit Ethernet and 802.11ac Wi-Fi are both built-in for wired and wireless networking and other integrated features include an optical drive for reading and writing to DVD and CD media, an SD card reader, a webcam, a microphone, and speakers. The Acer Aspire ES1 series Red Notebooks operates using an included Lithium-Ion 3 Cell Battery and also includes a 45W AC adapter. The installed operating system is Windows 10 Home 64 bit edition.